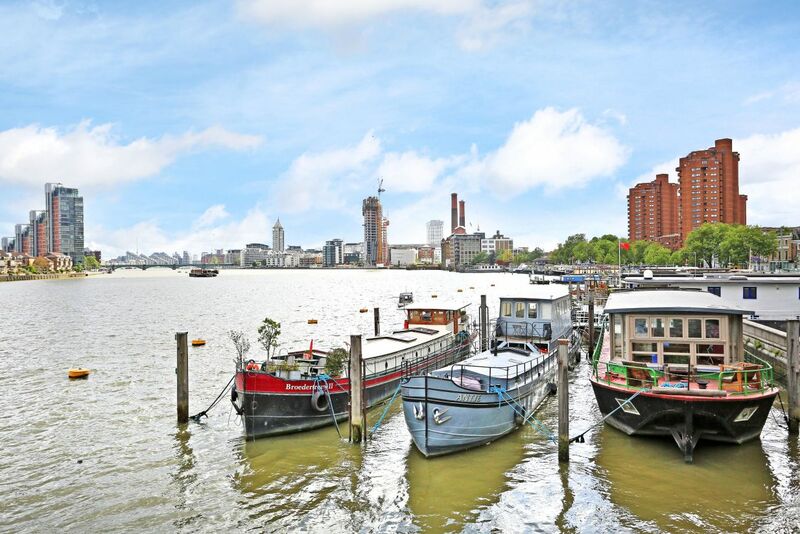 Antje is a Dutch barge moored on the river Thames, next to Battersea Bridge. 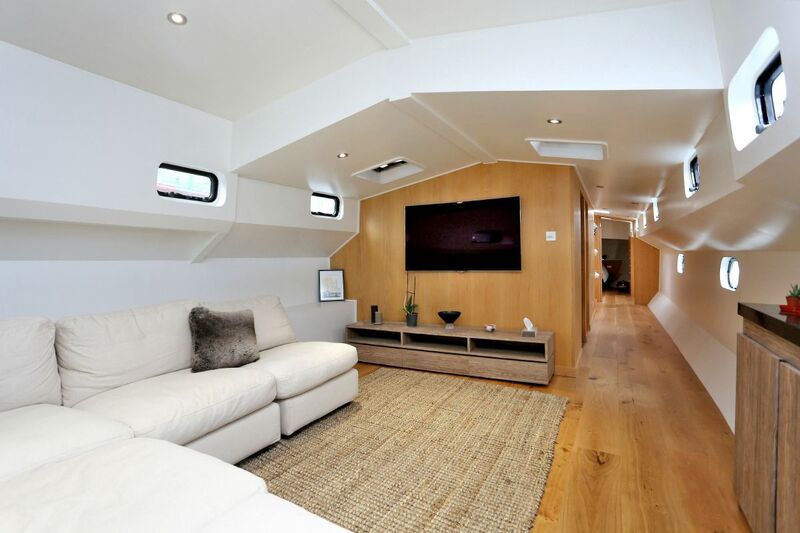 A creative approach to design has given this barge a new lease of life to create high quality living in a stunning location. 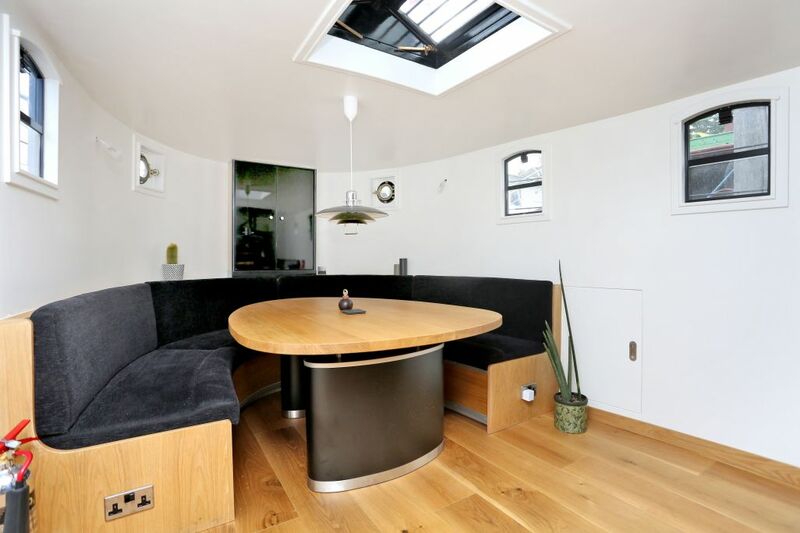 Our brief was to give Antje – a Dutch barge moored on the river Thames – a new lease of life. This is certainly a great project that adds to the variety of what we do. 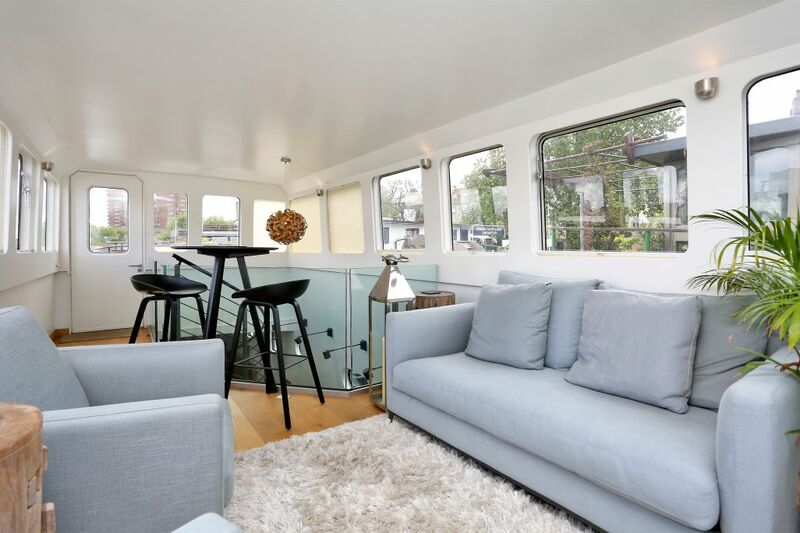 Essentially, Antje is a floating apartment with a great aspect in a stunning London location. Located next to Battersea Bridge on the river Thames, we worked closely with a marine specialist to completely redesign the internal environment to create high quality, but functional living spaces. 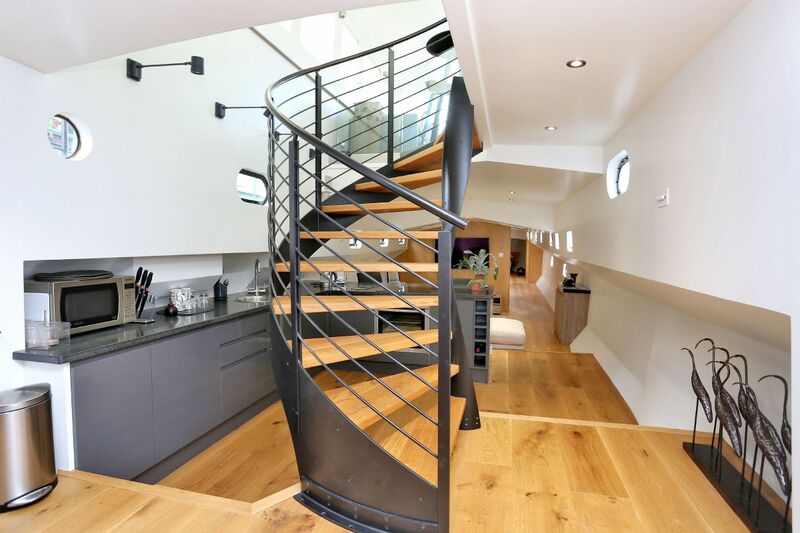 adding double height areas where possible, a feature stair and an open plan living, dining and kitchen area to give a greater feeling of space. 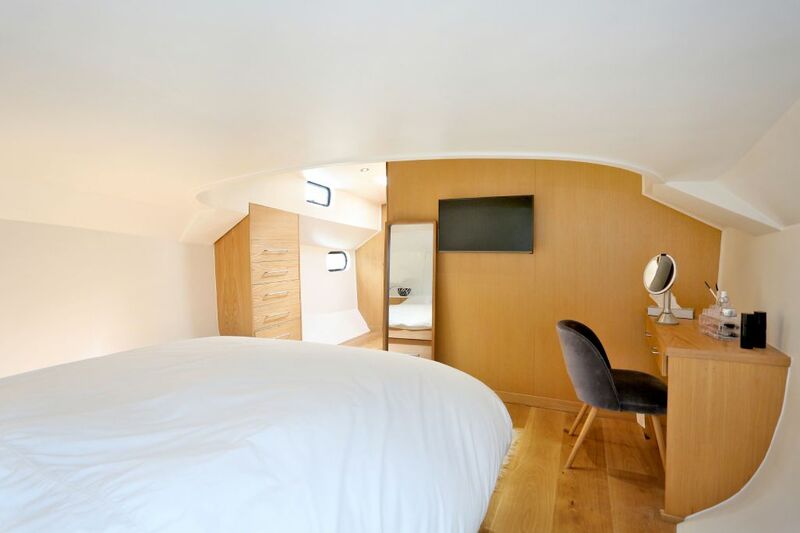 A remodelling of two bedrooms and a further master bedroom en-suite, to create a cosy sleeping areas.